Q: How can we make our Strategic Plan easy to understand? Angle: Here stands my house. 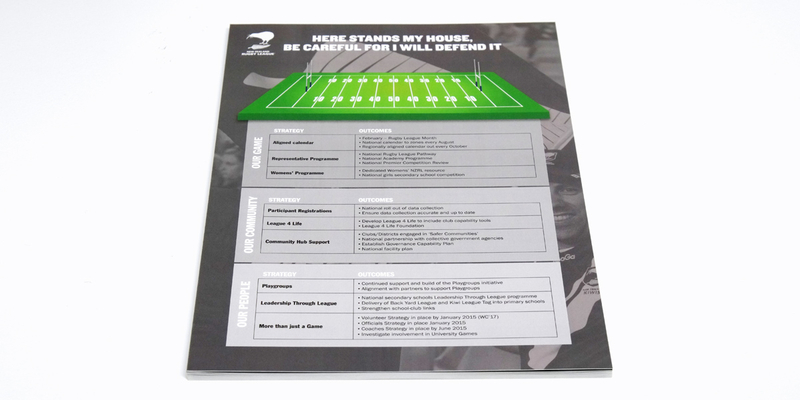 New Zealand Rugby League commissioned Angle to design and develop their Community Sports Plan, aimed at the national rugby league zones, districts and clubs. 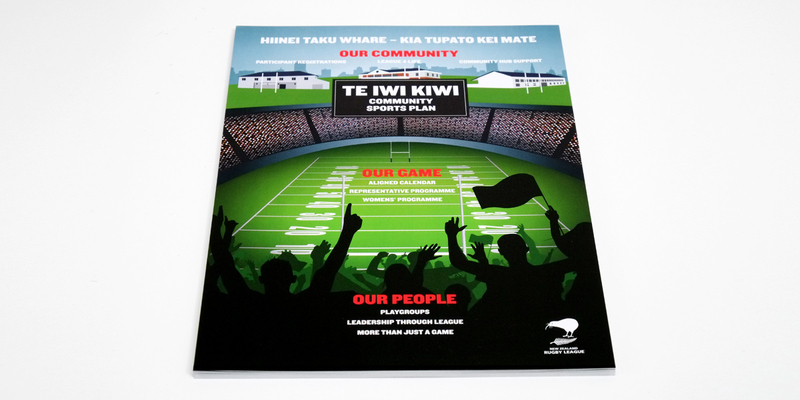 The aim of the plan is to promote and grow the sport via a carefully planned strategy involving nationwide rugby league clubs and community support. The brief asked for the plan to be simple and easy to understand. 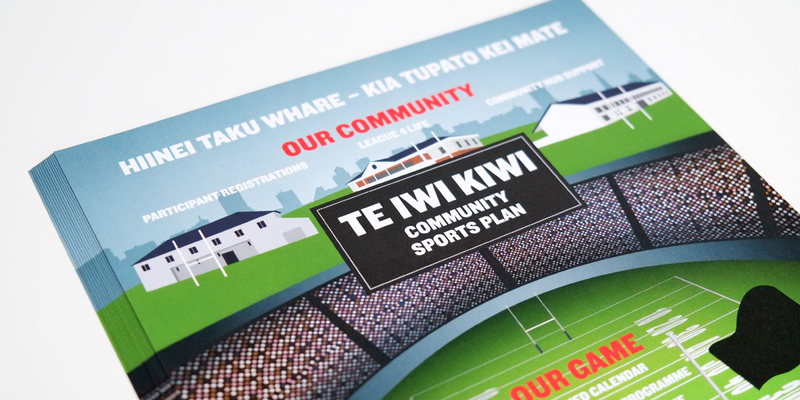 Angle’s illustrative solution is a rugby league stadium incorporting the key pillars of the plan: a community of rugby league clubs, the game itself and people. The back of the document features the three-tier strategy and the outcomes in more detail. 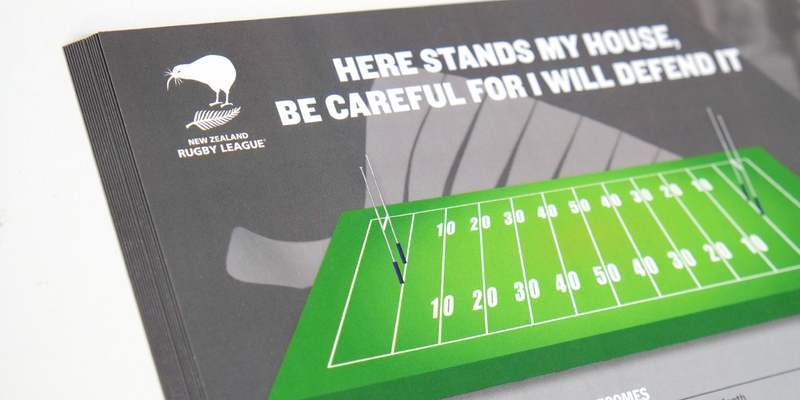 A house-like illustration with a rugby league pitch for the roof, contains the text, and ties in nicely with ‘Te Iwi Kiwi’s’ rallying cry: Here stands my house, be careful for I will defend it.